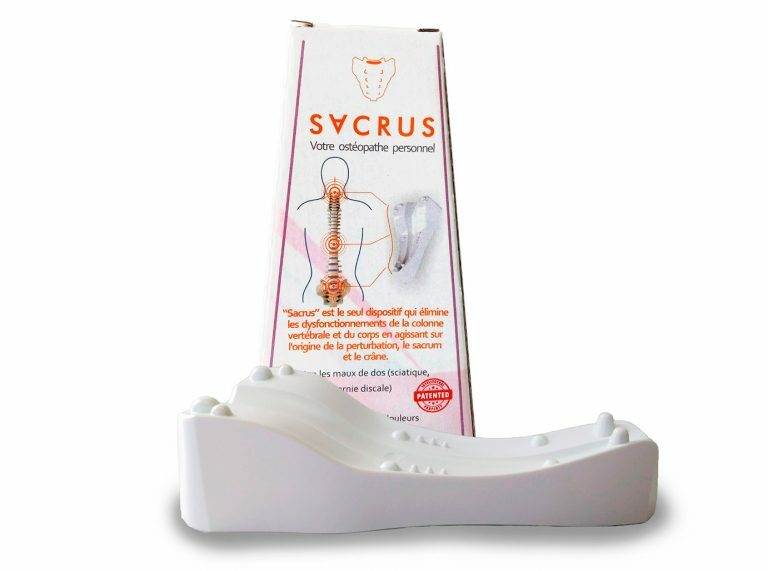 SACRUS is a device that eliminates the fundamental cause of the dysfunction of the spine (the micro-displacement of the sacrum and the base of the skull). The effect of CORDUS therapy increases from 30 to 40%, depending on the diagnosis. It is an important element in treatments: herniated discs, scoliosis 1 ° – 3 °, pain of sciatica, pain in knees, etc. It can also be used separately. 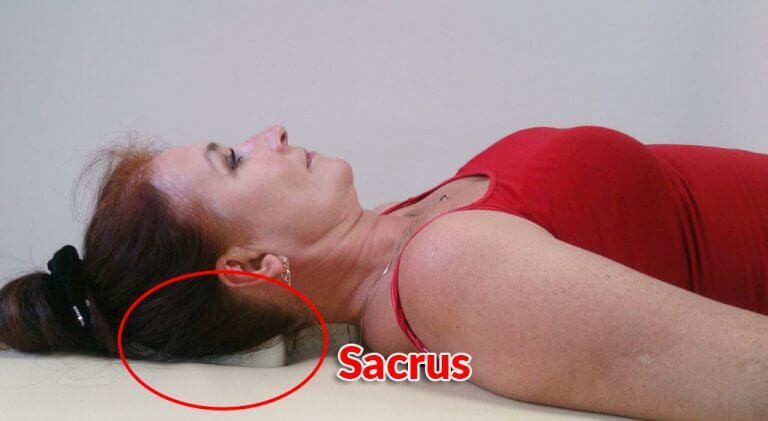 SACRUS is the new device patented by the creators of CORDUS, which applies the same self-gravitation method. The majority of people with sedentary life, traumas in childbirth or gestation, falls in childhood, sports activity, etc., have the sacrum and atlas (first cervical) deviated and spasmed, while the diaphragm is affected (tensed) because of daily stress. This condition is accumulating a constant and strong tension in the spine that over the years triggers serious sufferings such as herniated discs, scoliosis, wear and tear of intervertebral discs, knees and hips pain, among others. The treatments of these conditions will not be effective if the origin is not attacked, which is often linked to the poor position of the sacrum and atlas. For specialists, correction of the sacrum is a difficult task since it is a bone surrounded by several layers of ligament and strong muscles. Usually long treatments and great medical skills are required. 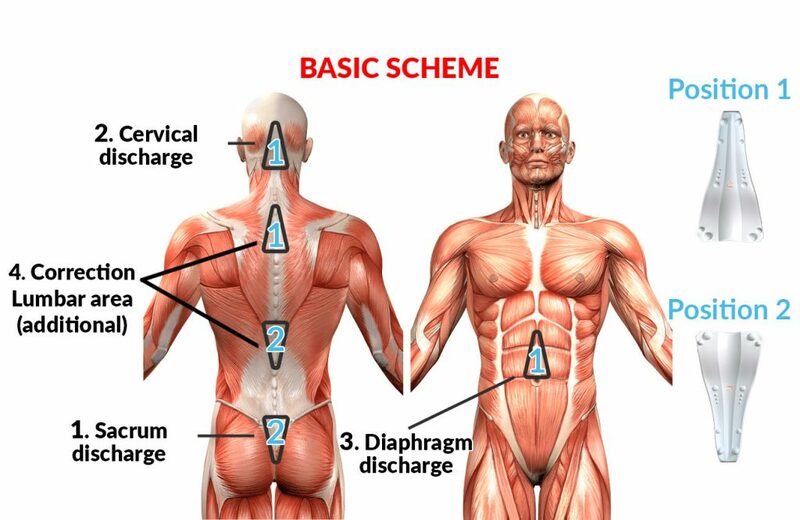 The sacrum, the skull base and diaphragm are the most important biomechanical centers, any alteration at these points causes chronic fatigue of the spine and important internal organs. Through gentle osteopathic discharge, SACRUS recovers the functioning of these centers. 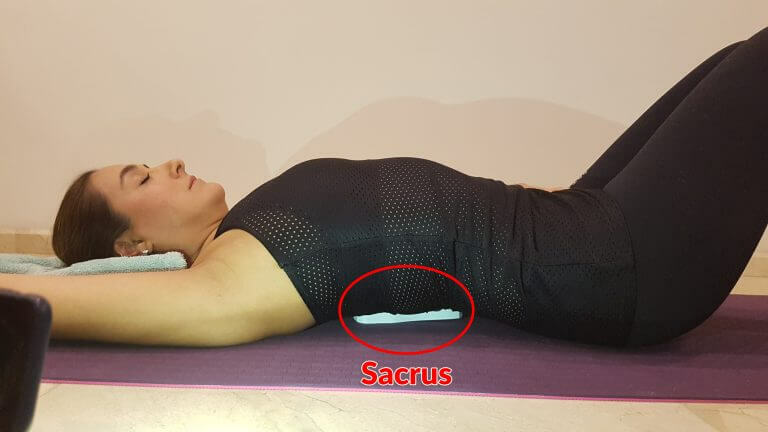 Currently there are no other specialized tools to correct the sacrum, making SACRUS a unique device of its kind. For greater effectiveness SACRUS can be supplemented with CORDUS and other therapies, although independently gives great results. Its use is simple, since it includes detailed manual. SACRUS helps to treat from the beginning several problems such as: herniated discs, sciatica, low back pain, scoliosis, pains in the hip, knees, neck, etc. See all indications and counter-indications here. Important: In problems of sciatic pain, herniated discs, scoliosis, low back pain, etc., there are few alternatives to treat them. SACRUS is equally if not more effective than other methods, but with a big difference in price, it is safe, non-invasive and has a money back guarantee. Try SACRUS before undergoing expensive, risky and complicated treatments. If during the first 30 days of use the results were not what you expected, you can return the device and recover your money in full, so you can try other treatments. Constant use of CORDUS will improve your spine and the rest of the body. It’s like having your own masseuse, chiropractor and acupuncturist at home. Bad habits and daily stress can cause relapses, do not worry, you can always use CORDUS when your back needs it. You can share it with your whole family. If you are currently undergoing treatment, supplement it with SACRUS for best results and avoid making additional expenses. This appliance is not for all the spine problems, there are diagnoses of genetic, neurological or degenerative origin that require specialized treatments. In these cases, CORDUS can give relief if the pain is caused by tension and muscle spasms. 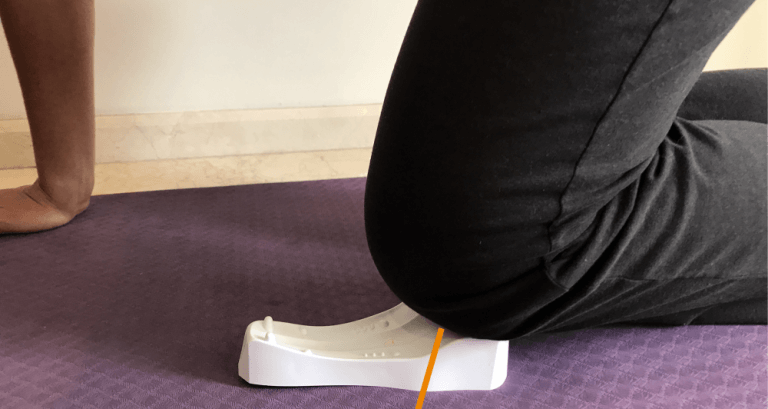 The aim of this device is to improve and correct the functional state of the spine and joints, can be used at home or applied at sports and health institutions. Piriformis syndrome; glutes and sacrum pain; sciatic nerve impingement; tunnel syndrome, knee pain; dysfunction of the organs of the pelvis, dysfunction of the sexual organs; sacroiliitis; intercostal neuralgia; diaphragmatic breathing disorders; vertebrogenic dysfunction of the gastrointestinal tract; reduction of seizures and muscular rigidity in children with cerebral palsy; chronic muscular overload and biomechanical failures in the musculoskeletal system caused by intensive training in different types of sports; back and neck pains, due to the professional muscle overload related to the static posture and with weight lifting. Osteochondrosis in any location; scoliosis 1st-3rd degrees; kyphoscoliosis 1st-3rd degree; youth osteochondropathy (Sheyerman-Mau’s disease); posture errors; growth delay in children and teenager’s height; headaches of different etiology; blood circulation failure in the brain related to cervical pathology in the neck; spinal artery syndrome; occipital nerve neuralgia, insomnia. Correction of the base of the skull may help in case of cranial and extracranial problems: headache, migraine, myopia, hyperopia, neck pain, cervical osteochondrosis, cervical spine instability, cervical spine protrusion, difficulty in nasal breathing, vertebral artery syndrome, occipital neuralgia, sleep disorders. Dysfunctions of the autonomous nervous system caused by biomechanical failures in the locomotive segments of the spine: heart problems, angina pectoris, coronary disease (myocardial ischemia), hypotonic or hypertonic neurocircular dystonia; functional failures in sight and hearing (specially, after peripheral blood circulation failures); vesicular dyskinesia; interruptions or changes in the functions of the bronchi and lungs; stomach, intestine, liver, pancreas, kidneys, genitourinary system, etc., as long as there is no vital organic injury in such organ. Myofascial pain syndrome and restriction of mobility in the neck, thoracic and low back areas, when functional blockage of spinal segments (spasms of the intervertebral muscles) develops: herniated disc, low back pain, sciatica, chest pain, neck pain; pain resulting from protrusion (that protrudes) of the fibrous ring of the intervertebral disc (herniated disc); peripheral nervous syndromes; numbness of hands; “frozen shoulder” syndrome; epicondylitis of the shoulder, among many other sufferings. It improves the organism in general and the level of the functional system preventing locomotive disorders in adults and children. Specific and non-specific infectious processes in the spine and joints (spinal osteomyelitis, tuberculous spondylitis, ankylosing spondylitis). Tumors in the spine and spinal cord, malignant neoplasms at any location. Recent trauma to the spine, severe head injuries. Acute disorders of the cerebrovascular circulation (cerebral infarction, atherothrombosis, occlusion of the vertebral artery, etc.). Scoliosis 4th degree of curvature of the spine. Herniated intervertebral discs with broken fibrous ring. Complete lack of movement in the joints (ankylosis). Severe instability of the spinal segments (3rd-4th degree) with spondylolisthesis. Severe febrile conditions of undefined etiology. SACRUS can be used locally to correct the desired segment of spine, for example the pelvis, within the framework of a complete course for correction of the entire musculoskeletal system. The recommended initial course of discharge and correction of the spine and the entire musculoskeletal system through the device is from 8 to 10 sessions performed regularly every two days. If after a session you feel pain in the muscles (in areas where there were spasms for a long time) the interval may be three days. 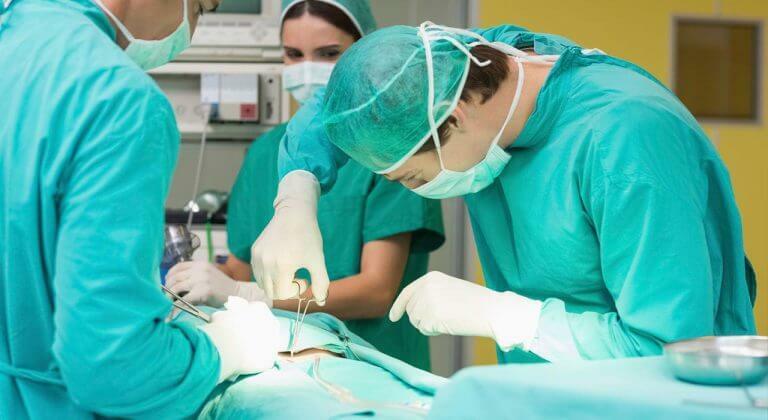 Then, the discharge and correction of spine and articulations must be performed regularly once a week with the purpose of discharging and relaxing the muscle-facial system, and of a general healing of the body, especially in tiredness periods in pelvis, waist and neck. The discharge time of a segment in the spine is from 3 to 5 minutes, depending on the speed of relaxation of muscles and ligaments in each segment. This method of deep self-gravitational correction of spine and the discharge of joints can be used by anyone, on their own, at home, after becoming familiar with the instructions, including athletes. The device can also be used efficiently in groups from 3 to 12 people in fitness centers, physical culture, medical, spas, and chiropractic, physiotherapies, massage, medical, sports or health centers. Fitness or Yoga experts, and trainers can use the method in combination with other type of workouts to discharge and relax the muscles of spine. With the help of this device, we have created a method for correction of musculoskeletal system, to recover the muscle balance and to achieve an excellent health condition. Working with deep muscles and ligament system eliminates overloading of muscles effectively and without pain, correcting and regaining the natural position and mobility of pelvis bones, spine and skull. In 3 – 5 sessions the tension, the imbalance and the discomfort will disappear, and with them the troubling disorders will disappear too. The device helps to recover the natural state of the unbalanced spine softly and comfortably, vertebral and motor segments just “unlock” in a few sessions. The spasmodic muscle tension is reduced, as well as the flow of “painful” impulses, improving blood pressure in back muscles and pelvic organs. It also recovers mobility in joints and the flexibility of the spine. The fundamental target of the spine discharging, using the device, is the relaxation. Relaxation is best achieved by exhaling softly and uniformly, during breathing. Listen to your feelings. Generally, in 2 minutes of application of SACRUS device, the muscle tissues get relaxed, and a sensation appears in joints and muscles, like they “melt” and soften, after which the body corrects the structural position of muscles or joints in a natural way, recovering their functions. This provides an excellent result of correction. Relaxation during 2 minutes is related to the fact that the tissue (of muscles and ligaments) can contain the tension along 2 minutes approximately in a resistance phase, after this comes second phase – the phase of the tissues relaxation, which allows to recover the balance of segments from spine or joints. IMPORTANT: If the internal tension, of selected segment for correction, is maintained for a long time despite the influence of the device, that means the dysfunction of that area is long and should be pay more attention by increasing the time of corrections of the segment up to 5 minutes, increasing the number of procedures and adding a mandatory system of special exercises (that you will find in the methodology below). To make the correction procedure as comfortable as possible, put a pillow or a rolled cushion under different parts of the body (back or neck areas). Do all the movements in the device in a slow and soft way, with no shaking, at the same way some lazy bears move. If you have problems in lumbar area, you can use a bend towel as support. As we have mentioned, SACRUS is designed to prevent and eliminate the fundamental cause of musculoskeletal system disorders: dysfunctions (tension or incorrect position) from pelvis, sacrum and cranium. Pelvis and Cranium correction is a powerful and gentle work on the main axis of human body: the skull – the spine – pelvis, including the technique to decompress (relax) the dura mater and improve the movement of the liquid cerebrospinal. 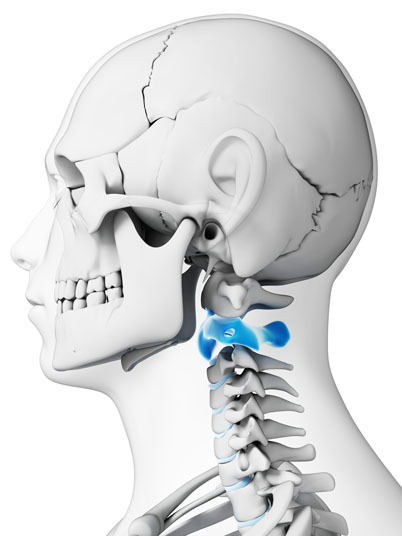 The tension in the area of the base of skull leads to the deterioration of mobility in cervical vertebrae, the vessels supplying the brain with blood get narrowed, causing development of osteochondrosis of cervical spine and the appearance of protrusions in neck. In addition, the circulation of cerebrospinal fluid, which moves under the meningeal of brain and spinal cord, deteriorates. The disorder of sacro-iliacs joints and the tension in bones of skull are related to each other. The release of sacrum and the recovering of physiological movements helps restoring the mobility of skull bones, which eliminates painful pathological and circulatory manifestations. Interrelationship between pelvis dysfunction with spine and innervated organs problems through the nerves that come out of it, it is so diverse that sometimes you wonder how important is to restore the balance to the body! People with pain in waist, glutes, hip joints and lower limbs often are helped by deep correction of sacroiliac joint, in other words, sacrum correction (at the level of muscles and ligaments, as well as the level of bone structures). – If you feel an intense pain, that means the muscle is spasmed, and the joint is seriously inflamed. The pain at the moment of using SACRUS is very rare! 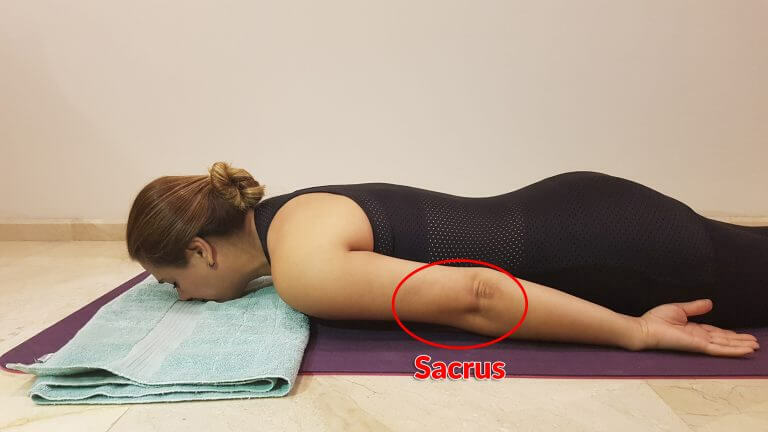 However, in case of an intense pain in sacral region put a rolled cushion or a folded towel under the waist, soothing as much as possible the procedure of sacrum correction. If the pain is strong and persists, you should ask for a diagnosis of the causes this so pronounced inflammation of the area, and you must probably take an anti-inflammatory course first. Act the same way in case of a severe pain when correcting diaphragm area, the rolled cushion will be placed, then, under the waist and neck. – If during the session you feel difficulties at the moment of getting up from the device (sometimes, it happens in the first sessions of correction of the thoracic region), you can lean slightly to you side and, in this position, move or remove the device. – It may be that after the first 2 or 3 sessions you feel a small pain in the spine area, mild nausea, stinging or a slight burning sensation in your back. Usually, this is related to the activation of blood circulation in body tissues. – People with low blood pressure may feel small dizziness, because of after the treatment blood pressure is slightly reduced. Remember, after the nocturnal procedure with SACRUS device, improves the quality sleeping. It is recommended not to do any physical activity for about the next 2 hours after the session of spine correction with SACRUS.